A Business Improvement District (BID) is a precisely defined geographical area within which the businesses have voted to invest collectively in local improvements to enhance their trading environment. BIDs were enabled by parliament through the Business Improvement Districts (England) Regulations 2004. This legislation was based on the experience of some twenty years of successful BID activity in America and Canada. Since 2004, over 300 BIDs have been proposed and approved by business communities in England and Wales. The lifetime of the BID is prescribed by the Regulations and is set at no more than 5 years. It is possible for a BID to be extended by proposing a new Business Plan at the end of the BID lifetime for a fresh formal vote by the businesses. There are over ninety BID areas which have been operating for more than five years and have gone through a renewal ballot, whilst more than twenty have now entered their third term having gone through a third ballot. These include Lincoln, Swindon and Birmingham Retail BID. BIDs have brought significant improvements to the trading environment of the businesses based in these locations. Further information about BID’s is available on the Association of Town and City Management (ATCM) and Institute of Place Management (IPM) websites. In 2007, businesses in this part of the city centre voted in favour of a Business Improvement District (BID) plan to support businesses in facing the challenge of the opening of Westfield and the relocation of the key footfall drivers, Marks and Spencer and Debenhams. The Cathedral Quarter was born. Before then this part of the city centre had no identity or collective vision. There was a genuine fear amongst the remaining businesses that this area would become a ghost town with high vacancy rates and low footfall. The first Business Plan (2008-2013) was aimed at ‘establishing the Cathedral Quarter as a destination’ and without question it achieved this, creating a coherent area which was both conducive to great business and an attractive place to work and visit. Not only did the Cathedral Quarter survive a deep recession, it thrived, outperforming many other towns and cities across the UK. The second Business Plan (2013-18) sought to build on this, by ‘enabling all businesses to benefit from the Cathedral Quarter’s values’ and to build on the sense of community and lifestyle which had been created during the initial five year BID term. Through working together this has been achieved, increasing the profile of the Cathedral Quarter locally, regionally and nationally. The Cathedral Quarter has also received national recognition, securing the ATCM BID of the Year and ‘Best City Location’ at the Great British High Street awards in 2016. 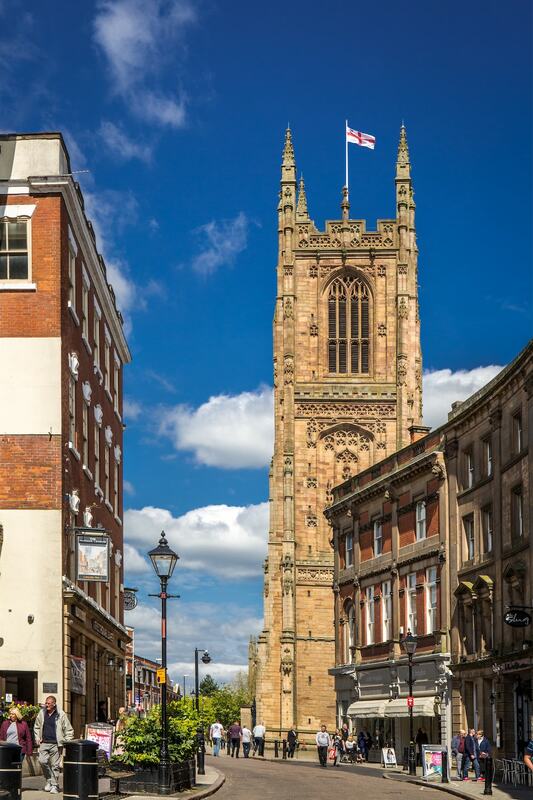 The Cathedral Quarter BID commenced its third term on 1 March 2018 following a successful renewal ballot in November 2017. The Cathedral Quarter BID area is as defined in the BID Proposal and Business Plan 2018-2023. All non-domestic hereditaments whose rateable value is £2,000 or greater will be liable for the BID levy, subject to the criteria set out in section 13 of the BID Proposal and Business Plan. To see a map of the extent of the BID area, please click here. To see a list of the streets making up the BID area, please click here. 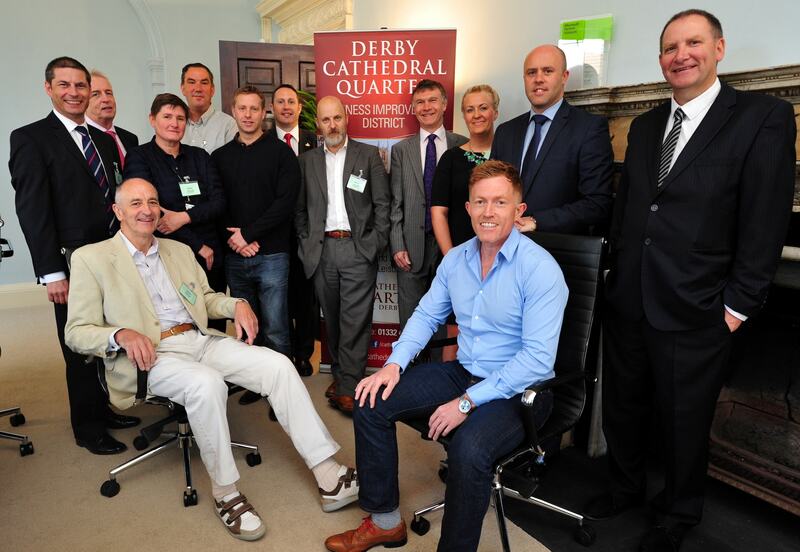 The Cathedral Quarter BID Board is elected by members of Cathedral Quarter BID Company, drawn predominantly from those paying a levy in the area and made up of a representative cross-section of businesses, stakeholders and key agencies associated with the successful delivery of the BID project. The role of the Board is to safeguard the interests of the levy payers by ensuring that the BID operates in line with the Business Plan and offers consistent value for money in line with its targets. 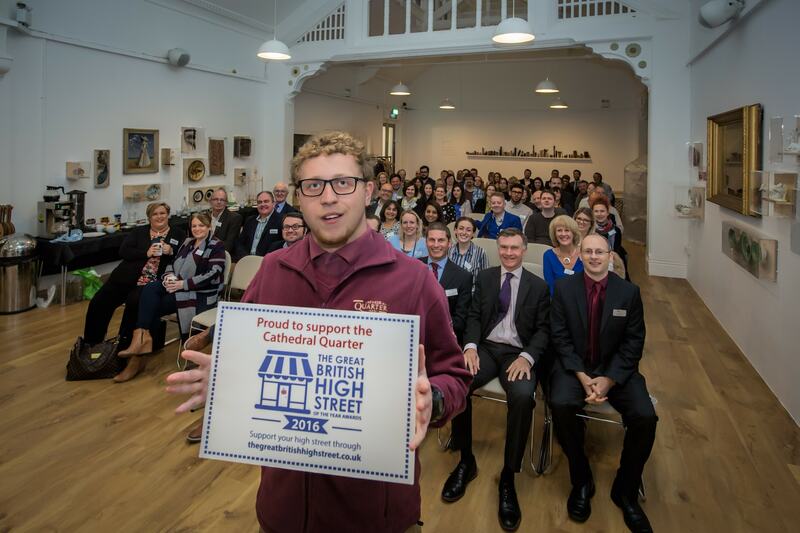 The Cathedral Quarter BID is project managed by Partnerships for Better Business Ltd (pfbb UK) who support the BID Board with their expert advice and in-depth knowledge of Business Improvement Districts. The role of the Project Manager is to run, coordinate and deliver all BID projects, liaise with businesses and report back to the BID Board on progress. The Manager also acts as a conduit for the Board to work with partner organisations to consult and advise on issues that should be addressed in the Cathedral Quarter. Eve works alongside Ashley and the Rangers to provide project and administrative support for the Cathedral Quarter BID. With a background in online marketing, Eve is also responsible for undertaking social media on behalf of the BID, increasing interaction and promoting the area. Jon and Scott work closely with Police and other agencies to tackle anti-social behaviour and crime issues in the area whilst also supporting businesses with any issues. The Rangers are the ‘eyes and the ears’ of the Cathedral Quarter, helping to promote the area, welcome visitors and provide support for the implementation of events and activities.